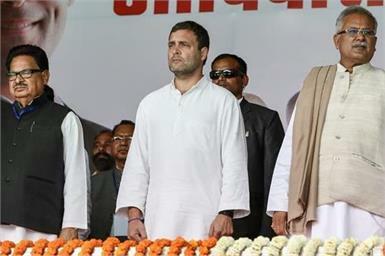 New Delhi: As voting for the second phase of polling started Thursday morning, Congress president Rahul Gandhi urged voters to "vote for Nyay" (justice). 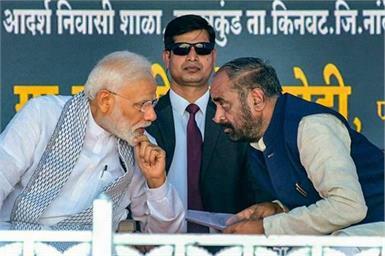 Yavatmal: Prime Minister Narendra Modi and Mos Hansraj Ahir during the flag off the Ajni-Pune Humsafar Express through video-conferencing. 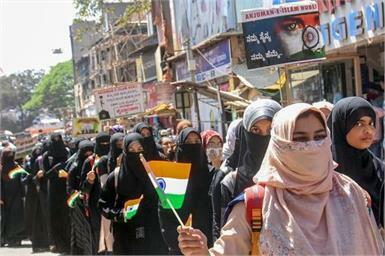 Hubballi: College students take part in a peaceful protest march against Pulwama terror attack. 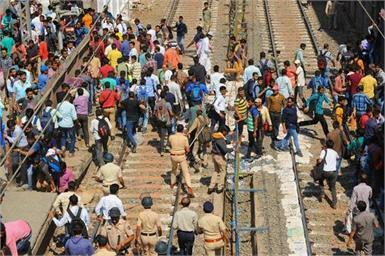 Palghar: Protestors clash with police after they stopped a train at Nala Sopara during a protest over Pulwama terror attack. 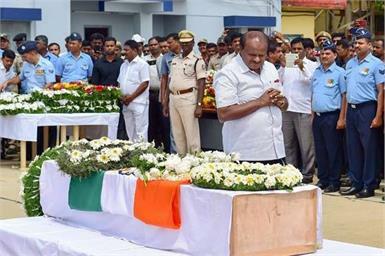 Bastar: Congress President Rahul Gandhi, Chhattisgarh Chief Minister Bhupesh Baghel and other senior Congress leaders observe two-minute silence to mourn the death of martyred CRPF who lost their lives in the Pulwama terror attack. 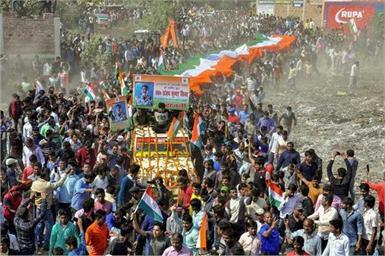 Patna: A large number of people attend the funeral procession of CRPF jawan Sanjay Singh, who lost his life in Thursday's Pulwama terror attack. 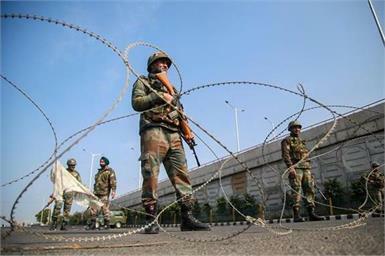 Jammu: Army personnel stand guard at Bikram Chowk during a curfew, imposed after clashes between two communities over the protest against the Pulwama terror attack. 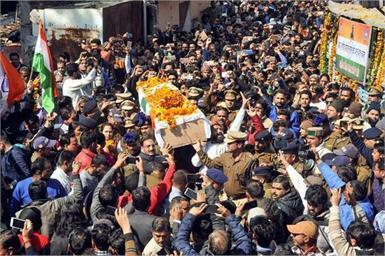 Haridwar: A large number of people attend the funeral procession of CRPF jawan Mohan Lal, who lost his life in Thursday's Pulwama terror attack. New Delhi: The EC let off Minority Affairs Minister and BJP leader Mukhtar Abbas Naqvi with a light rap for his ''Modiji ki sena'' remark and "warned" him against using the armed forces for political propaganda. Washington: Nearly four weeks after Prez Donald Trump declared himself completely exonerated, Americans will get a chance to see the evidence themselves with the release of Special Counsel Robert Mueller's final report on Russian meddling in the 2016 election. Mumbai: The benchmark BSE Sensex extended its record run by rising over 200 points in early trade Thursday led by gains in index heavyweight RIL ahead of its earnings. LA: WWE wrestler-turned-actor John Cena is in early negotiations to board filmmaker James Gunn's upcoming "Suicide Squad" sequel. Kolkata: Their house in complete disorder after seven defeats from eight outings, the Royal Challengers Bangalore will be desperate for a win to stay afloat in the IPL when they take on Kolkata Knight Riders here on Friday.